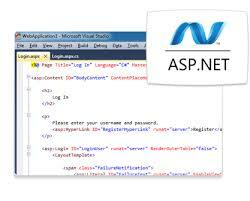 The profit of using ASP.NET for website development is regarded as an important contribution to the overall network development. Many popular websites use this development framework as the basis for their site design. Let us take a look at the many benefits on offer from using this modern tool in all website and web-based application development projects. Profit Of Using ASP.NET For Website Development Simply put, this next generation version of the ASP framework from Microsoft is a programming tool that is used in the generation of technologies, web applications, and enterprise-class sites. Applications developed using this framework are available on a worldwide basis and bring about an effective and efficient knowledge management. Be it building a small business website or a corporate application spread out across a number of networks, this development tool provides all the required features that any ASP.NET programmer could possibly ask for.